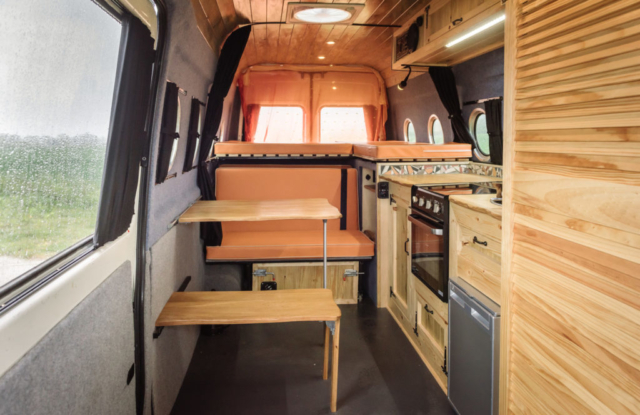 Our large, five berth family campervan conversion can be fitted into most long wheelbase vans including the Mercedes Sprinter and the Volkswagen Crafter. 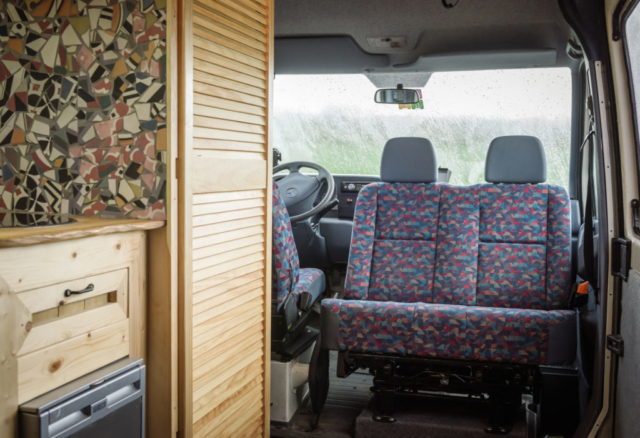 The price above is “conversion only” meaning that the van will need to be bought separately. 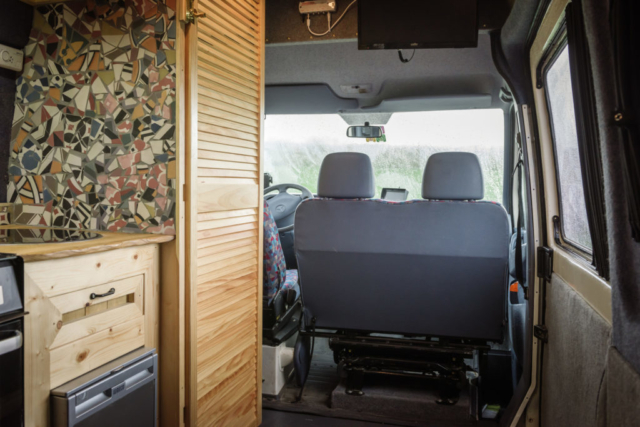 We can source and supply a van for you, or help you find one. 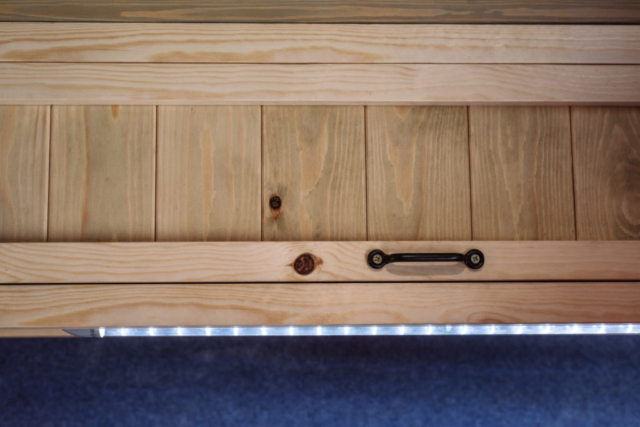 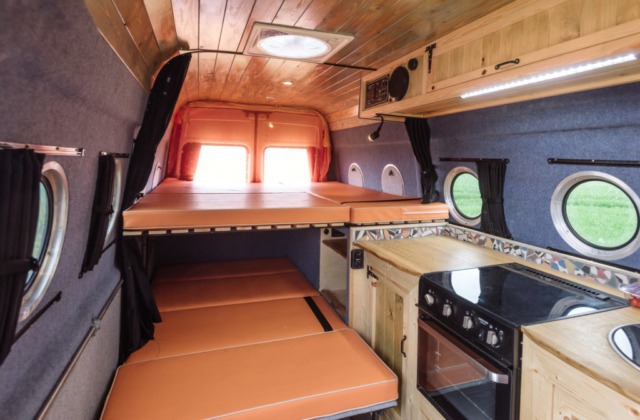 Suitable base vans can be found for as little as around £6,000. 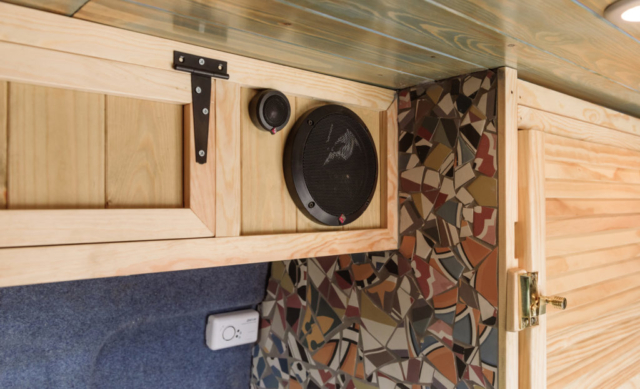 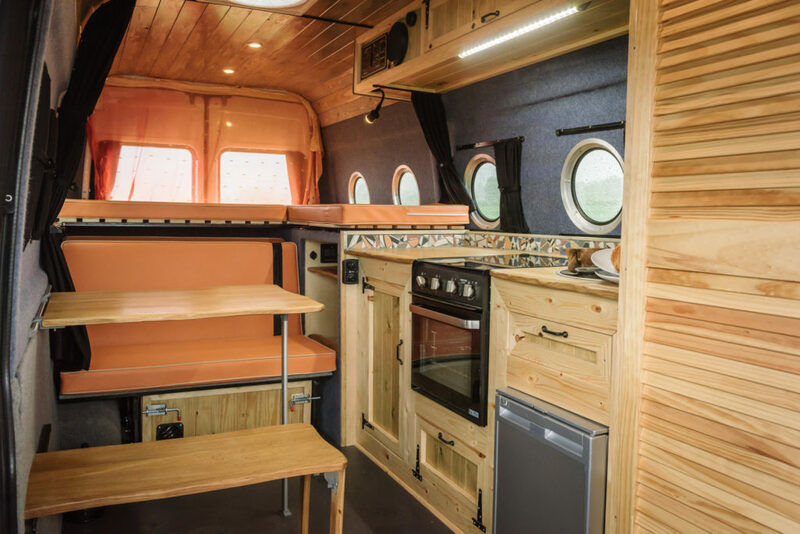 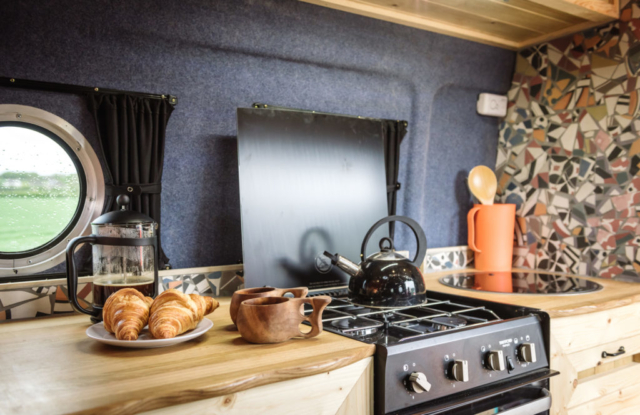 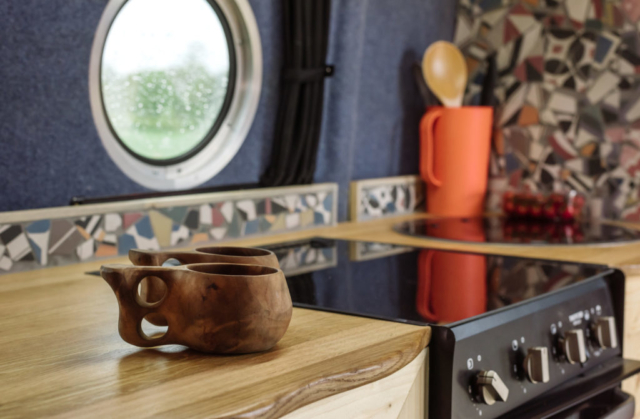 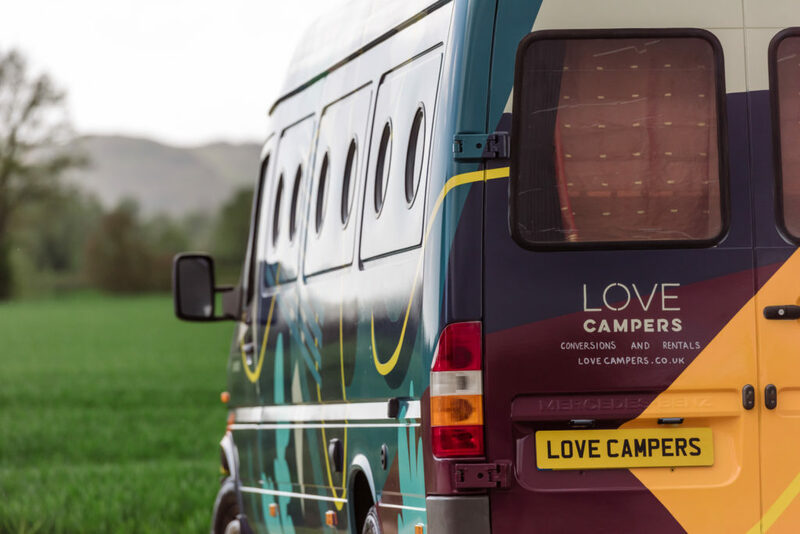 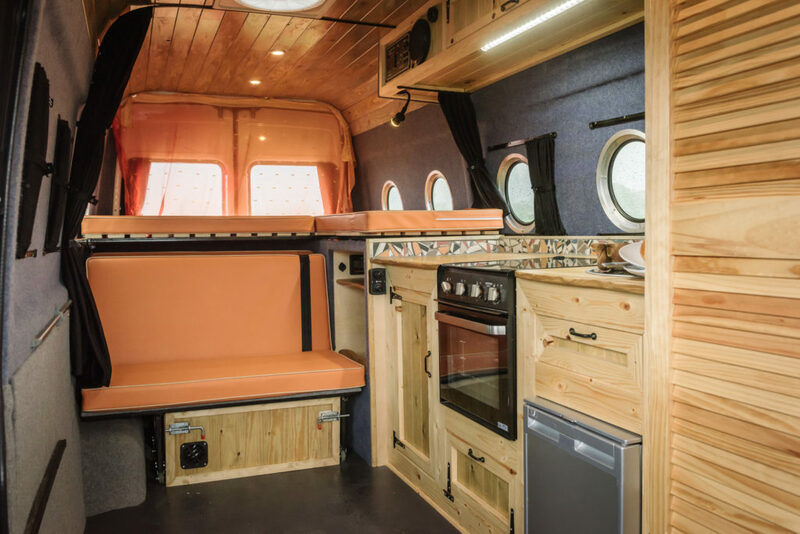 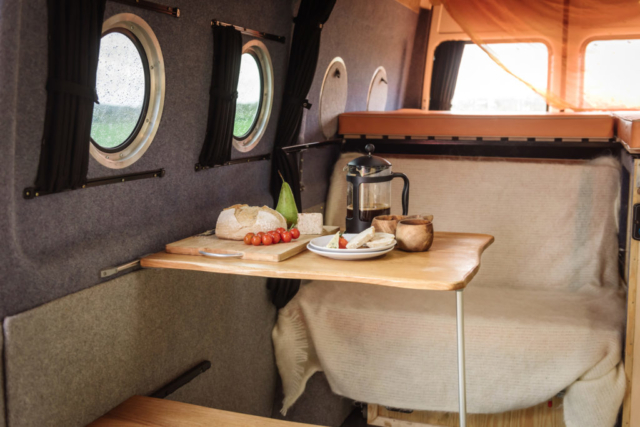 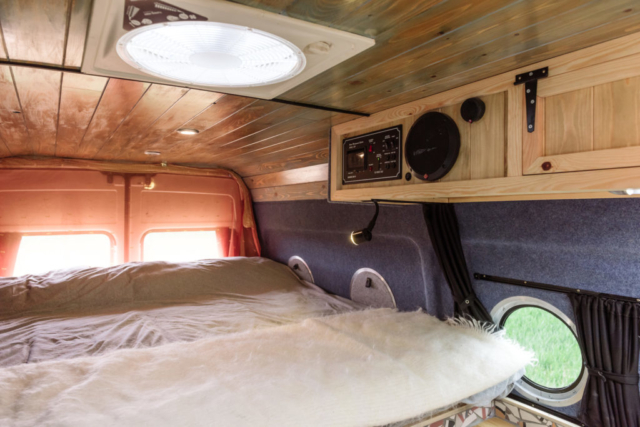 This campervan is a beautifully designed and finished versatile family camper, perfect for family campervan experiences or for couples after the extra space and luxury that the larger vans provide. This is a design that we developed, designed to our ideal spec. 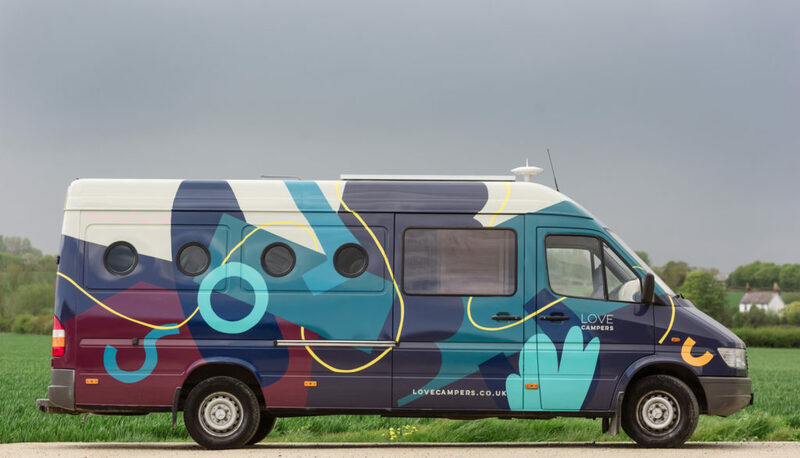 We regularly take the whole family away in a van of this exact design. 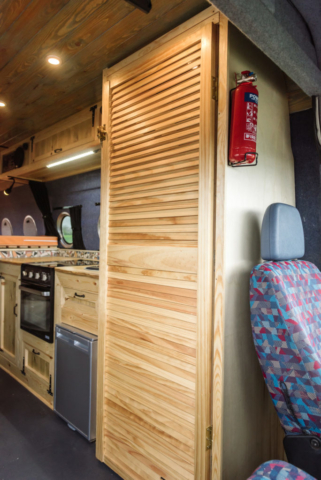 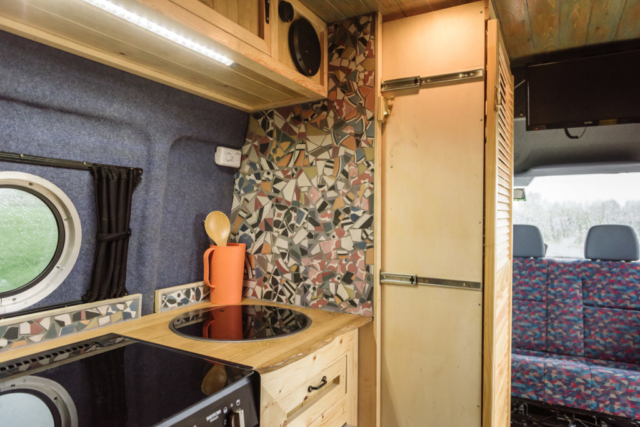 This large family campervan has plenty of cupboard space, and a rear entry garage to store bags and muddy items away from the living area. 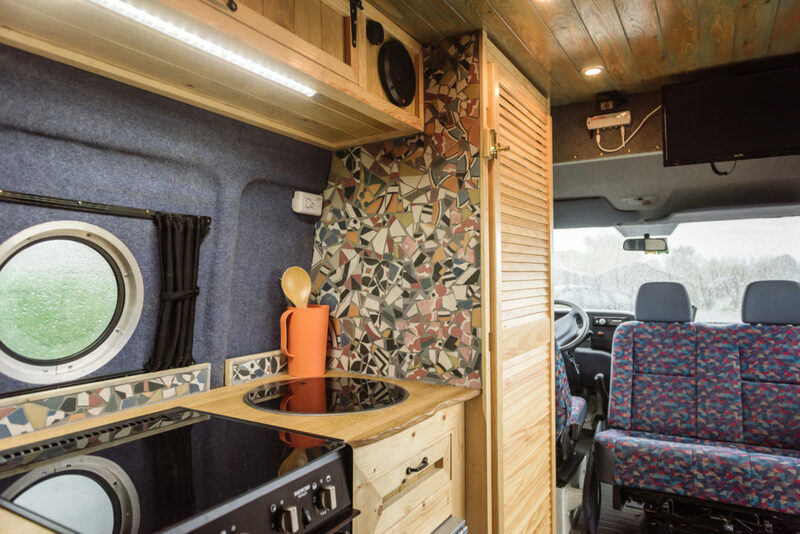 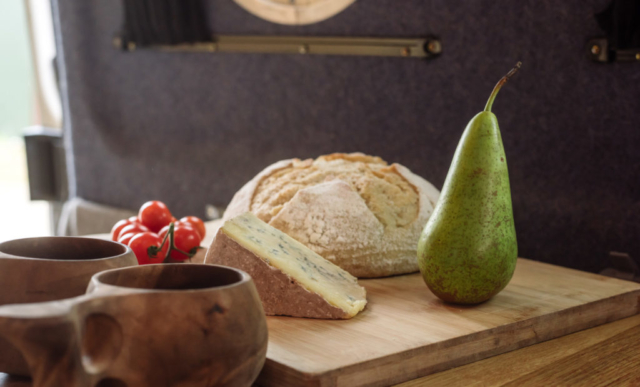 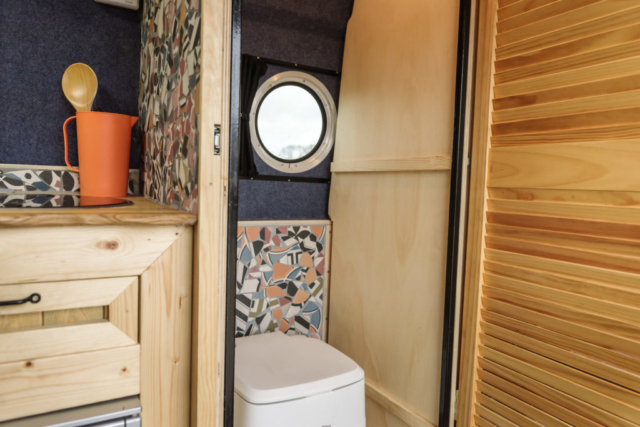 The van comes complete with double rocknroll bed, a semi-fixed extra-large bed, a cooking area, a cooker, fridge, toilet with a separate cubicle, and plenty of seating. 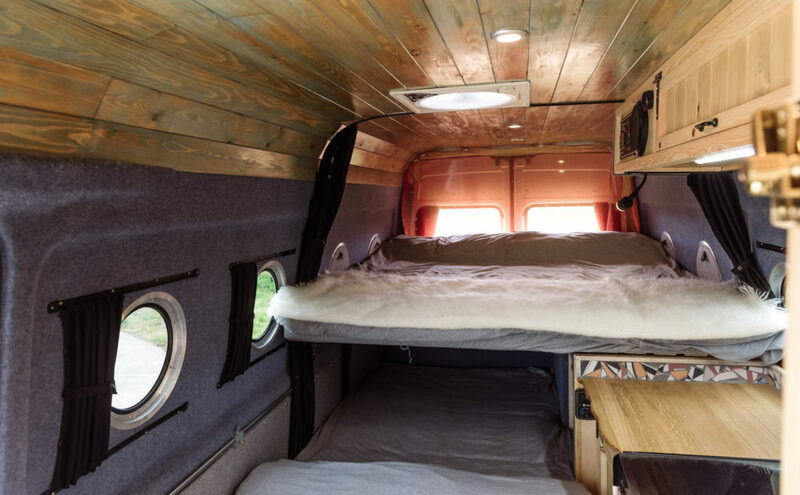 Standard black-out curtain set-up (if you have lots of windows, it may be extra). 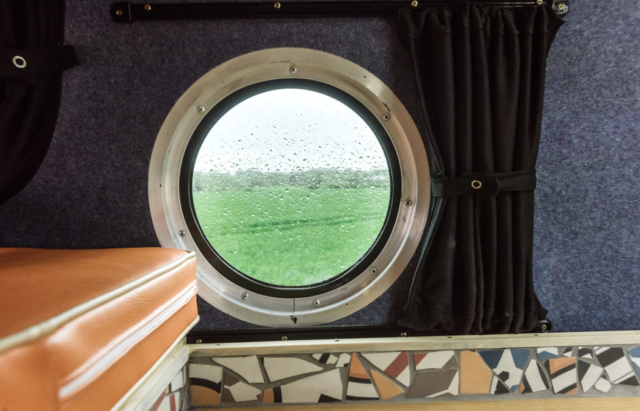 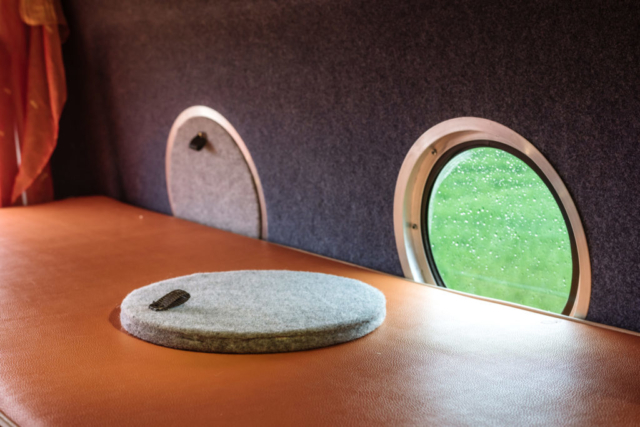 Porthole windows or other windows if starting with a panel van.